Poster: Carnival Against the Nazis designed by Dave King, 1978. 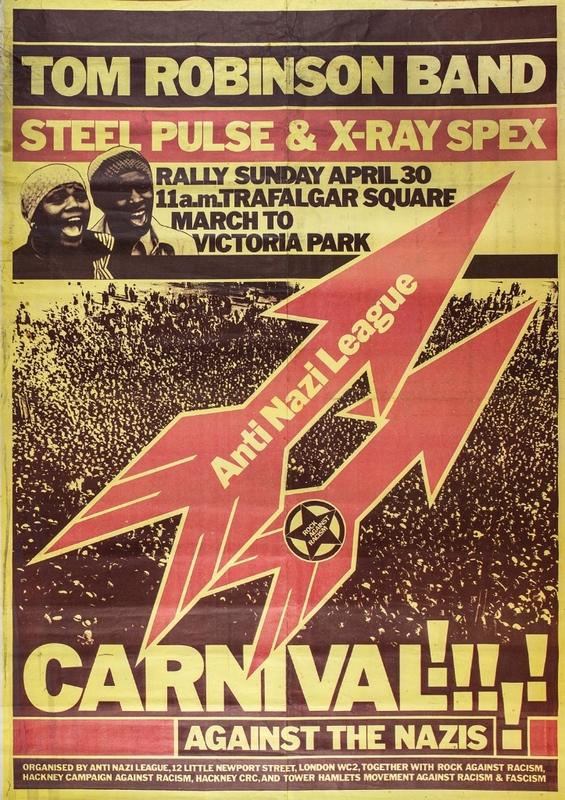 In April 1978, the first ever Rock Against Racism/Anti Nazi League Carnival was staged in Victoria Park, London. The final line-up included The Clash, Steel Pulse, Tom Robinson Band and X-Ray Spex. 80,000 people attended, with 2,500 travelling from Greater Manchester in 50 coaches and minibuses. Geoff Brown (ANL) co-ordinated the coaches with help from organisations such as Manchester Polytechnic Students’ Union.